Here you get an overview and further information about our various White Lion Flat Nozzles. Large areas such as facades are usually treated with flat nozzles, and a general rule here is that the aggressiveness of the dry ice blasting process with a constant air pressure and volume is determined by the nozzle outlet size – the smaller the outlet, the greater the kinetic energy of the impacting pellets. By adding the scrambler nozzle, the blast pattern can be optimized. All nozzles are compatible with the dry ice blasting devices of IceTech and BUSE Jet. The range of applications for dry ice blasting and dry ice cleaning is very diverse. White Lion dry ice blasting equipment is ideally prepared for these tasks, because all important parameters are set independently of each other – including air pressure, the quantity of blasting abrasive and the volume of dry ice pellets. With our WL 3000 Profi dry ice blasting system, the spectrum of volumes ranges from a minimum of 20kg/h to max 120kg/h, a feature which, incidentally, is unique. Another important factor in the performance of a dry ice blasting machine is the right choice of nozzle. White Lion offers our customers a special range of flat nozzles, round nozzles and angled nozzles. 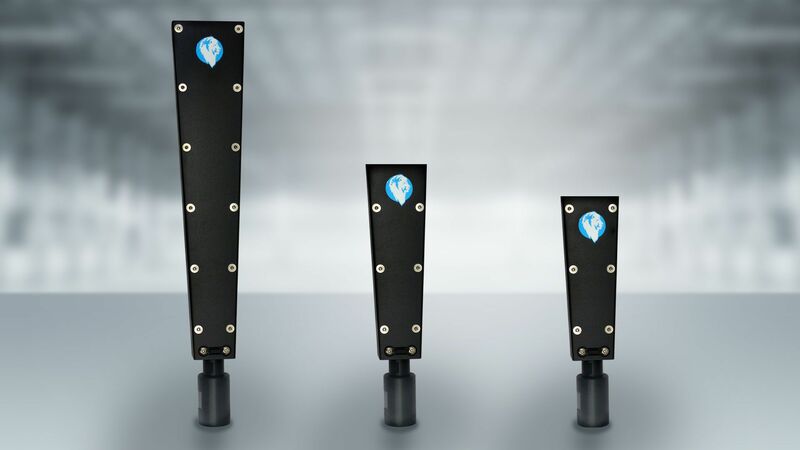 A special variant is the scrambler nozzle, the “ice splitter”, which breaks the dry ice down into smaller pieces, with their size depending on the choice of screen mesh. The fine dry ice blasting medium produced in this manner makes even more efficient use of materials and impresses with a dense and uniform blast pattern. If you’re looking for fast and economical cleaning or deburring, make sure to choose the right nozzle. The flat dry ice blasting nozzle XL from White Lion has a nozzle outlet with a width of 75 mm and is therefore extra suitable for the cleaning of large surfaces. The dry ice blasting nozzle can be attached to every blasting gun from White Lion. The flat dry ice blasting nozzle M von White Lion from White Lion has a nozzle outlet with a width of 50 mm and is therefore extra suitable for the cleaning of large surfaces. The dry ice blasting nozzle can be attached to every blasting gun from White Lion. The flat dry ice blasting nozzle S from White Lion has a nozzle outlet with a width of 35 mm Breite and is therefore extra suitable for the cleaning of large surfaces. The dry ice blasting nozzle can be attached to every blasting gun from White Lion.